Feel free to print out these packing lists and check them off. Chargers for Cameras, Phones, etc. Ear Plugs – nice for airlines or noisy hotels. Certificates – Dive Certificate, etc. Confirmation numbers, tickets, paper or apps for hotels, rental cars, excursions, etc. Shoes – Sandals, Running, Water, High Heels, Dress shoes, etc. Take everything above, plus don’t forget to bring formal wear. Depending on the length of the cruise you may have 2 formal nights not just 1. You don’t have to dress up if you don’t want to, you just won’t be able to eat in the nicer dining rooms. That includes for men: dress shoes, dress socks, slacks, button down shirt, tie, belt, blazer, and jacket or sports coat. For women: formal dress, jewelry, dress shoes, hair accessories. Don’t forget motion sickness tablets if you tend to get sea sick when you are on a boat or scuba diving. Some cruises like Royal Caribbean give out motion sickness stickers that you put behind your ear. I personally don’t get sea sickness, but people who used them say it works. No need to bring a towel because all cruise ships provide one for you to use when you go to the beach. Some ports will make you take both your passport and another form of ID to enter back onto the ship. 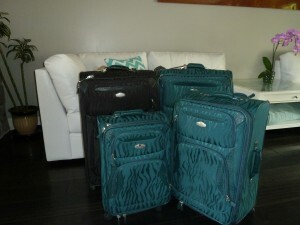 Click here for Packing Tips and How to Pack. Create your own free travel packing list. Customize it to the number of travelers, your destination, accommodations, weather, and tour activities. Print or email your packing checklist to yourself! Thanks for visiting Packing Lists.